I wasn't going to do one of these year-end recaps since I'm supposed to be on bloggy hiatus, but I got to reading all of your posts and felt left out. I also realized it'd be a great way for my new followers to play catch up. So, here's a list of my favorite posts from 2010. They're the best of the best, people. I was a fashion model for a day. My husband revealed he's Team Jacob. Britney Spears took over my blog for a day. This is the day Jenny McCarthy realized I'm awesomesauce. I went to see Eclipse. I was sick a lot. I decorated for Halloween on a budget. I'd like to wish each and every one of you a Happy New Year. May 2011 be better than 2010. Thanks for so many blogposts this year - and lots of laughs too! I remember most of those! I love that your Hero is Team Jacob. But I'll say it again: He's mine. 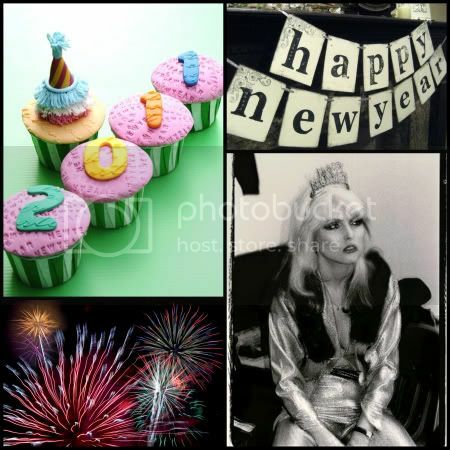 happy new year to the hotpants family!!!! Happy NY to you too! Thanks for all the laughs on this blog!! It's been quite a year. Here's to many more great memories in 2011. Happy New Year to my quirkiest blog BFF! Much love! Love you and your blog. Happy New Year, lady! I hope 2011 holds beautiful things for you lady! I think I may have started following you in 2010. I remember a lot of these posts. If we're going to be best friends is my favorite. I know 2010 was a tough year for you so here's looking to a better, more sarcastic, more Vampire-ific, tinsel town filled new year! Happy New Year! I am off to read the best friends post. Yes, for crying out loud, let it be better! Happy New Year's to you! Happy New Year! I need to go read some of your favs since I haven't been following very long. I'm still playing catch up from last week. Happy New Year!!! I love all of these links and I love that image of Deborah Harry RAWR!